A creative coworking space, The Egg Factory has much to offer for designers, craft makers as well as entrepreneurs. A bright space, they provide desk spaces available for hot desking, workshops as well as other knick knacks. 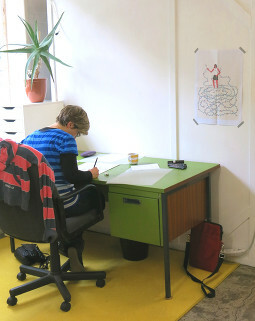 Their working space is flexible, open and accessible for the entrepreneurial as well as the creatives of Hebden Bridge. Their space has its own charm. A heaven for DIY goers and those who love craft. Spacious areas with pastels and vibrants popping here and there. There are even patchwork couches for lounging. Their work desks are quirky as well so you’ll be able to get those creative juices flowing. Fully equipped facilities like wifi, tea and coffee are all included. Whether you’re a startup, freelancer, graduate, designer or any other professional individual, The Egg Factory welcomes you to their humble workspace. The community values openness and collaboration so it’s definitely the place for coworking. Constantly growing as a whole, the individuals share resources and knowledge with one another to create a sustainable coworking environment. They also have product photography and screen printing facilities for hire. So if you ever feel like creating something, give them a heads up and enjoy your creative explorations in a functional space! Are you a member of The Egg Factory? "A uniquely welcoming creative environment"
Sue, Amy, Katch and the gang have created a delightful creative work space at The Egg Factory. The range and quality of the workshops they provide is unsurpassed, providing expert-level tutoring to all. Their creative hot desk solution is also a much needed and loved service in such a talent-laden town. In addition to the brilliant range of workshops throughout the year, events in the space have included ( but are not limited to) the co-hosting of the bi-annual rag-market and numerous craft fairs featured local talent. 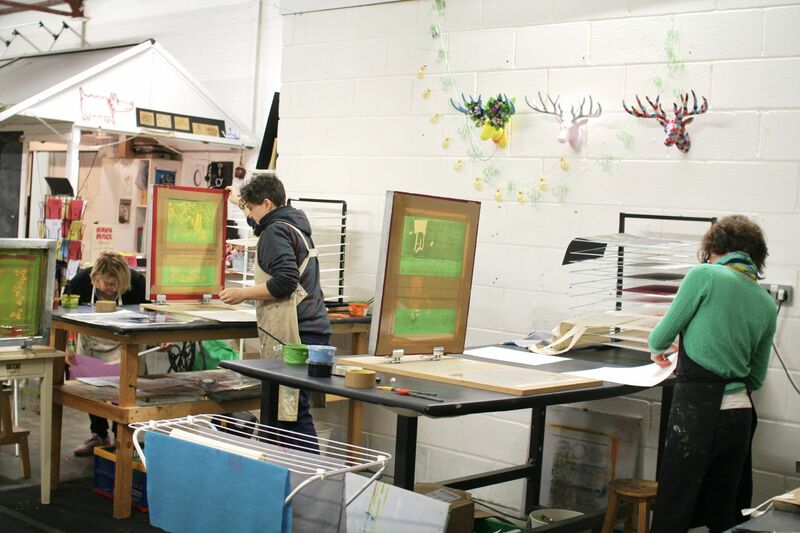 There's an excellent screen-printing set-up there, with all the kit (and induction) you need if you're an expert printer, and a four day introductory course if you're not. If you're after a well thought out, ethical creative space with shared values of collaboration, openness, community, accessibility and sustainability, then there's nowhere better. I don't have a need to use the co-working space myself, but that doesn't mean I haven't supported the Egg Factory from the outset. 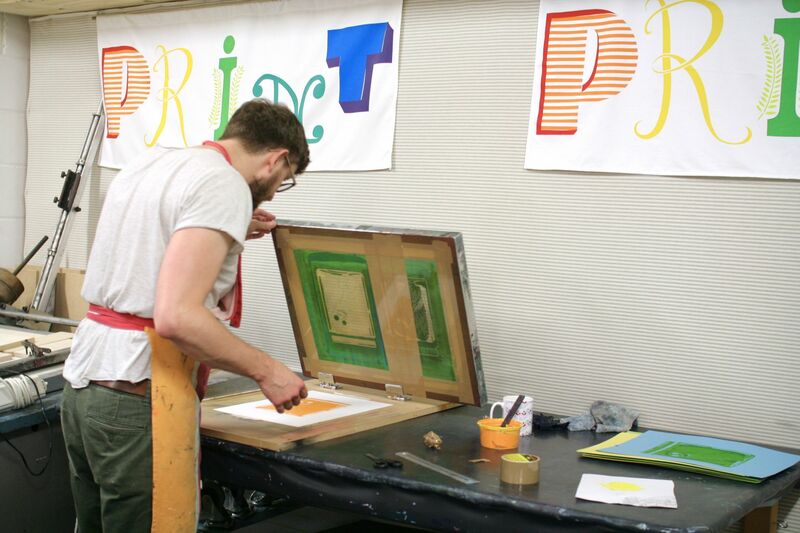 They run interesting courses (in particular, printing) and hold quirky, fun events throughout the year. These often feature local artisans, nice food, bumping into interesting people and, always, lots of giggles. I've particularly enjoyed the swishing/clothes swap nights. Egg Factory also put together a 'Hebden Bridge Annual' (like the ones you used to get for Christmas) which was based on the area. It was terrific. They also put on an accompanying range of activities such as nettle soup making, local walks, and learning embroidery. The space is copious and only a few minutes' walk from the centre of town. They have toilets, comfy seats, and tea-making facilities (always a bonus!) The people who run it and work there are some of my favourite folk in the area; creative/quirky, full of ideas, and always welcoming. I've never tried the wi-fi as I'm a Luddite, hence the mediocre rating! The Egg Factory has gone from strength to strength since it’s start. It has listened to its members/users to provide what they need. As a result they offer hot desking, product photography space, courses, workshops and selling opportunities. Hebden Bridge is a very creative town and the Egg Factory team up to support many of the community events and projects. This includes hosting meetings, exhibitions and providing space for community making projects. These include the Hebden Bridge Rag Market and Open Studios. The cafe they run during their bigger events is fantastic. During the Christmas fair they have someone else come into cater and his hot food is most welcome by stall holders and visitors alike. Amazing friendly folk in a well organised space... full of like minded people, who enjoy a touch of collaboration ( the shared weekly lunch definitely helps !) The ares can be set up for your own requirement, with plenty of light ,space , peace and quiet if required. There s always a community event going on to get involved with such as The Handmade Parade, Open Studios, Rag Markets to name a few! And you can learn to screen print too , with regular courses being held throughout the year( produce your own bags, posters etc to promote your business) I love it here..
"Fabulous, Friendly, Quirky Co-Working space in idyllic Hebden Bridge"
The Egg Factory is a place you feel at home in as soon as you walk through the door. The people who run it manage to combine unfussy efficiency with great warmth, creative energy and an open, ‘can do’ attitude. This seems to rub off on all the co-workers who to date are an eclectic mix of printmakers, creative writers, designers, artists, makers, producers, bloggers and web based small businesses. Weekly shared lunches, monthly events and socials for co-workers, and a great atmosphere combine to make this a thriving hub. Facilities include everything you need for professional screen printing, product photography, sewing equipment, printers, WiFi and a great kitchen. I love it! "What a load of good eggs." I am a member of the egg factory, and have collaborated with them on local projects, as well as creating my own work and screen printing there. It is a wonderful example of a vibrant, dynamic and engaging art space, with the knowledge and the technology to teach established artists new skills, and new artists first skills. I'm a proud supporter, and will continue to do so. The events throughout the year are always really fun and exciting, and they have been a great resource and support to 'The Nova Collective', an organisation I co-founded supporting 16-30 young artists in the area. This is a unique, quirky and all round brilliant co-working space in beautiful Hebden Bridge. It’s managed with great warmth, good humour and integrity and the atmosphere is relaxed and creative. Networking, creative and social events for co-workers who want this, a really interesting mix of writers, screen printers, textile artists, bloggers and other makers using the space, and an inspiring creative environment. Good WiFi, close to town, parking, endless tea and coffee. Love it. 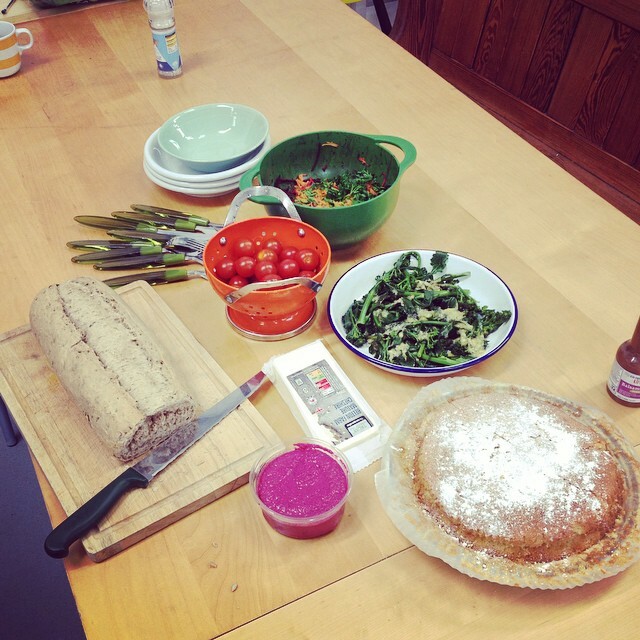 Weekly shared lunches for coworkers are a great way to meet other like minded people. It’s a five minute walk to the centre of Hebden Bridge. "Fabulous place to learn, enjoy, get creative and have fun!" The Egg Factory is just brilliant. I went on the screen printing course and had the best time. The course was in-depth, detailed, well executed, inspiring and fun. Amy & Rachel who ran the course are exceptionally talented artists and creatives but equally brilliant tutors on the course. They made all ideas seem possible and the entire course was enjoyable and all attendees got a lot out of our time in The Egg Factory. Would whole heartedly recommend them to anyone. The Egg Factory is at the heart of the amazing creativity taking place in Hebden Bridge offering co-op space, brilliant courses, events and a warm welcome to all. There are many reasons why The Egg Factory is such a special place. The thing that really makes it for me is the community here.The team that run The Egg Factory are very friendly, welcoming and approachable; and are always on hand to offer advice. 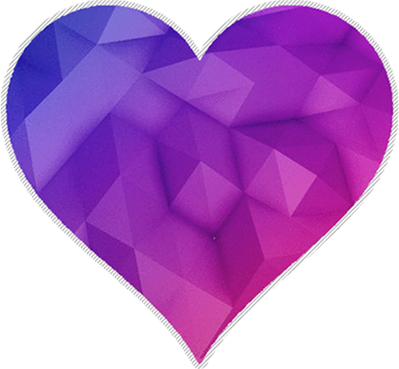 There is a weekly Wednesday bring and share lunch for members – this is always a great opportunity to talk over creative ideas, share stories and to just generally have a good old chat. The atmosphere at The Egg Factory is great; it's quiet and focused enough to get on with your work, but everyone always has time for each other. The facilities are great, plenty of good desk space, wifi and plenty of tea and coffee. Truly wonderful people, in a truly wonderful place! "A great bunch of people!" The Egg Factory is a fantastic hub of creative people and a great way to make connections with them! I love Wednesday lunches when I can have a good chat with fellow self-employed people. I've met some really interesting people and forged some working relationships too which is a bonus. It's much better than a standard 'networking' event any day! It always feels really productive and I always manage to get stuff done while I'm there, much better than being at home. I like being able to sit at a different desk every days although I do have my favourite spots! "The best co-working space in the whole wide world"
I love working at the Egg Factory. It's full of wonderful people, the shared lunches on Wednesday are delicious and - this is the best bit - there is always a creative project underway to marvel at. The Made in the Valley Co-op has done a great job of making the space attractive and comfortable, and they're constantly looking for ideas of how to improve. I feel part of it here, and look forward to spending more time here, sharing ideas and space. Big thanks to the Egg Factory for letting me grow veg outside. Love it. "A relaxed, friendly and professional working environment." This is the perfect space for anyone who enjoys a casual and relaxed workspace. I've found that my productivity increases ten fold when I'm here as it's a such a professional environment that it's very easy to stay focused. I'm a journalist but the space is open to anyone from artists to computer programmers. The girls who run it are really friendly and will make you feel very welcome. There's high speed internet, plenty of parking space and a kitchen so you can bring your own lunch to prepare etc, everything is very easy. I would definitely recommend it. "Screen printing & doll making fun project"
Co-Working for me at The Egg Factory is like going back to Art College. The facilities for Screen Printing are excellent, the girls gave me technical support where needed and also the space to get absorbed in the process. There is a great communal eating and social area with inspiring books and magazines. Whenever I go I feel part of something really exciting and creative. I really recommend this space. Such a wonderful addition to the arty town of Hebden Bridge, provides just what we need. Excellent ladies who can make a good brew as well as dishing out endless printing help to those, who like me, are not the most talented. "Fantastic working space in Hebden bridge"
The Egg Factory is a great, versatile working space for the people of Hebden Bridge and further afield. The team are friendly, professional and very helpful. The facilities are growing and allow you to produce work of a high standard as well as working alongside alongside other creative people. It can get lonely working away on your own at home. I look forward to going there, especially for the lunches where good food is consumed and ideas are shared and discussed. Great for screen printing and space, friendly, welcoming and helpful. Have used the space on many occasions, everyone who is involved in The Egg Factory are always welcoming, professional and helpful . The spaces are user friendly , light filled...and there s always coffee, tea and biscuits on hand!! "Really friendly people, great work space"
The gang at the Egg Factory couldn't be more welcoming, from the moment you walk through the door you are with like-minded people, who are interested in your work and can't do enough to help should you need it, whether that is a cup of tea, or an extra pair of hands. The space is open and airy, with lots of desks and work stations, and a kitchen for making tea and lunch. The Shared lunches are something really special - breaking bread with fellow makers and setting the world to rights gets the creative juices flowing. A fantastic place with fantastic people. A real sense of community, great facilities and always something surprising to inspire and motivate. "A friendly, relaxed place to work." I screenprint at the Egg Factory and I find it a lovely environment to work in. Everyone is so approachable I feel confident I can ask for help. It is a unique space in that there are many artists/creatives working on different things and this makes it lovely place for exchanging ideas and skills. There are special touches like a shared lunch on Wednesday adding to the welcoming feel. 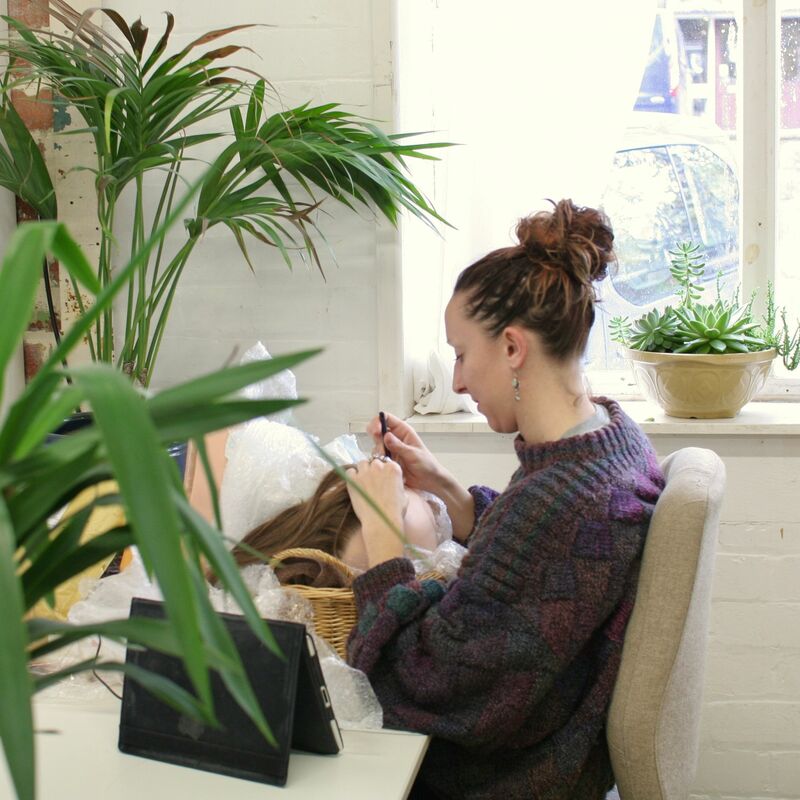 "The Egg Factory is a fantastic space to work amongst like minded creative people. Furthermore, you're always welcomed with an enthusiatic smile and a cuppa." I've used both the screen printing and hotography facilities. I've also attended their makers fairs which are great to show and sell your work and meet the other coworkers. Hebden Bridge has everything you could ever need. If you're stuck for anything, just ask the next person you see; they will answer! Close to the river and lovely short walks. Very useful when you hit a creative block and need to get outside to be inspired. 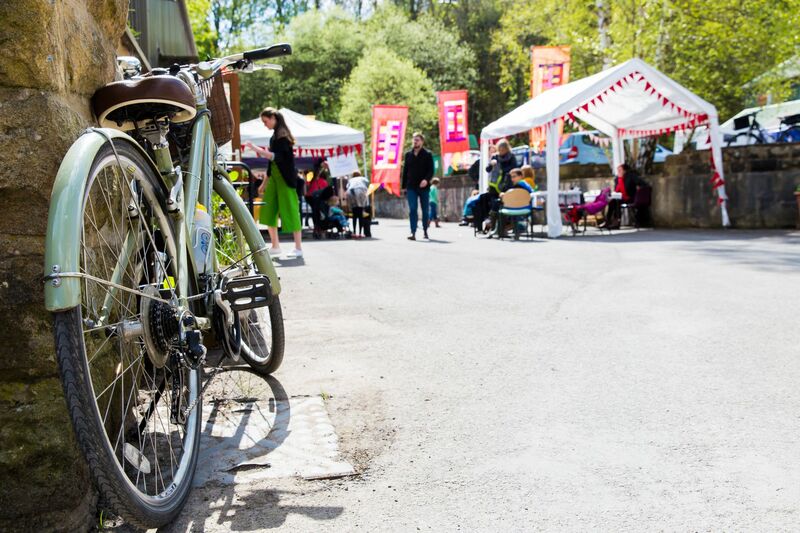 You can t help but settle in here... just a short walk to the centre of Hebden Bridge where even more inspiration awaits( come for the weekend and visit independent shops , community owned cinema, great music venue and a wide variety of restaurants and bars. Really near to town, friendly, peaceful, 1 minute walk from idyllic country walks. Free tea and coffee. What’s not to like? I love it. Don't follow your Sat Nav up Keighley Road, go down Valley Road instead! The train routes to Hebden Bridge are excellent from Leeds and Manchester you can even hire a bike from the station. Don't get Amy to make the tea! There s always something interesting happening in Hebden Bridge.... Folk are friendly and there s lot s of great places to eat and drink( also beautiful surroundings if you fancy taking time out for a stroll. A short walk from the Egg Factory takes you to the river bank, with tables beside the river for a picturesque lunch break. Out of the Egg Factory cross the road and walk up the hill. Take the first left and cross the footbridge to the river path. The Egg Factory will be in touch with you soon to confirm. The Egg Factory has received your membership enquiry and will be in touch with you soon.